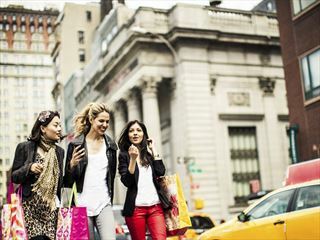 Offering all the style and comfort you would expect from a Westin hotel, coupled with a fantastic location within walking distance of the theatres, restaurants, bars and shops of the Times Square district. Guestrooms offer Westin's Heavenly Bed & Heavenly Bath, plus flatscreen HD TV, iPod dock, wi-fi and in-room coffee maker & mini bar. And if you too tired to venture far after a long day sightseeing, then you can enjoy food and cocktails at the hotel's Foundry Kitchen & Bar. 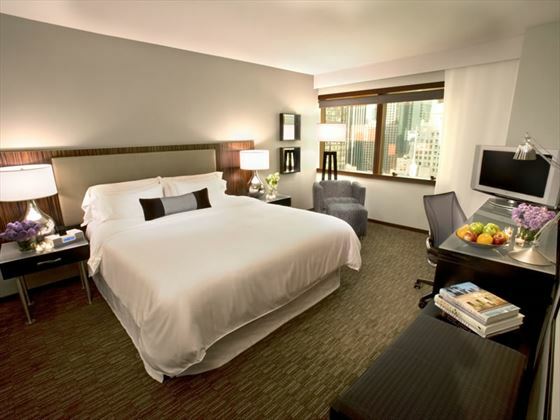 The Westin New York At Times Square is situated in the ideal location, within walking distance of most restaurants, bars and attractions: 0.3 miles from Grand Central Station and the Empire state Building, 2 miles from Central Park and 2.6 miles from the Museum of Modern Art.